Roger Brook - the no dig gardener: The long and the short of it; why some soil organic matter lasts a very long time. The long and the short of it; why some soil organic matter lasts a very long time. 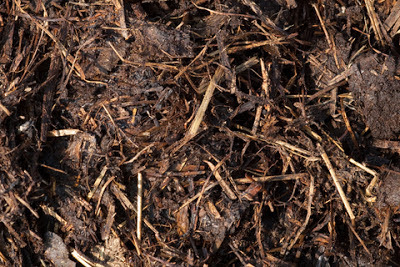 Most bulky organic matter of the kind that we add to our compost heaps decays and is gone within five years. For soft nitrogen-rich debris it’s gone very much sooner. I experienced this myself when I accepted a good will gesture from the local organic disposal plant and used the lovely brown stuff to fill up a couple of no longer wanted small ponds. After two years the ponds have almost returned. As well as decay no doubt the worms have done some shifting. Alongside such phenomenon other organic matter remains in the soil for decades or even centuries. Radio carbon dating has shown so called humus more than a thousand years old. What is going on? Blogger Robert Pablis has written a clear explanatory post about why we should question the word ‘humus’. In his dry way he notes it might not exist but a lot of people sell it. The word has always been misused and carries different meanings. The real meaning of the word humus to a soil scientist refers to the long lasting organic material intimately mixed into the soil. I like the term ‘mineral stabilised organic matter’ better, having spotted it in a technical report I will refer to. What is mineral stabilised organic matter? Over the years I have heard various attempts at explaining this amorphous material. I have always favoured the idea that organic breakdown is such a chaotic process that some of the organic remains are such erratic irregular molecules that bacterial enzymes that operate by lock and key mechanisms just have nothing to latch on to. Perhaps more mainstream is that some organic molecules are so small they can effectively hide away from bacteria in close and intimate associations with soil particles. Between the internal latices of clay spaces are tiny. Perhaps some kind of bonding locks soil particles and organic molecules together. Let us step back and consider the overall contributions of long and short term organic matter to fertility. A fairly high level of organic matter is hugely important to all living processes that work in and improve the soil. 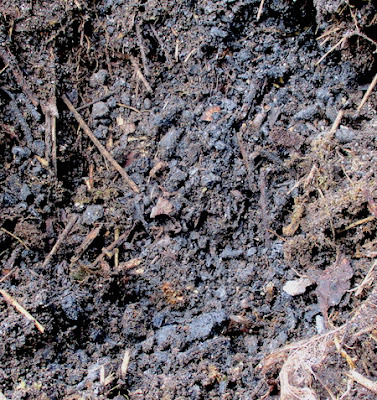 Organic matter is fundamental to soil structure and plant nutrient requirements. It has always been a paradox that long lasting organic matter is basic to soil health and yet organic breakdown - ultimately to water and carbon dioxide - releases essential nutrients that plant and soil biology needs. 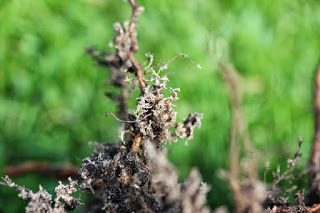 It always galls me that some gardeners seem to think that it is mandatory to buy and bring in extra organic matter to add every year to their soil. I wish more people would recognise that nature itself will produce enough organic matter if only we would let her. Just like in the wild. I am fascinated by the paradox that cultivating the soil oxidises away organic matter to release nutrients whereas the non digger builds up his soil organic store (clearly both can happen in parallel). Apart from the fact that the ‘humus’ extracted in soil analysis does not really exist in the soil, another source of long term organic matter dubbed glomalin was only discovered in 1996. It is tough glycoprotein which strengthens the hyphal walls of mycorrhizal fungi and can remain stable in the soil for up to a century. 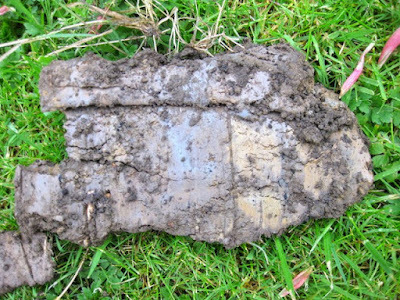 Until 1996 this tough un-reactive material had not been picked up in laboratory soil analyses and had been thrown away. Worldwide research now shows that glomalin makes up about 30% of soil long term organic matter. 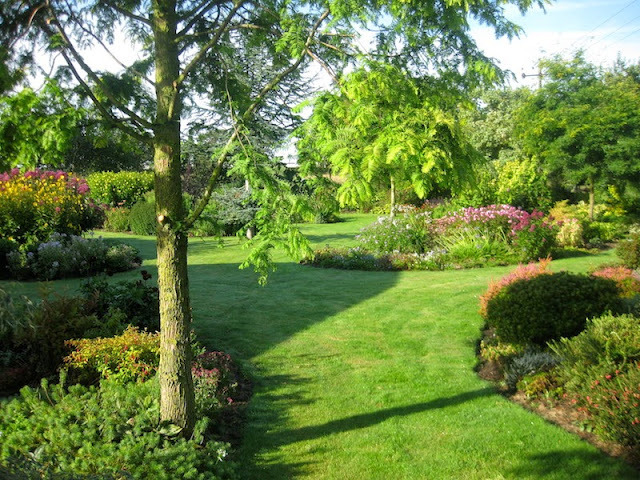 Sometimes called nature’s glue it intimately binds soil particles together and creates the ‘stable soil aggregates ‘ much beloved by gardeners. Mycorrhizal fungi are much encouraged by minimum cultivation. Grist to my mill. When I was at school little mention was made of soil rhizosphere and it would have been vehemently denied that roots ‘leak’ sugars into the soil. I have recently discovered the website Botany One and am finding all kinds of fascinating facts. It reports recent research into this sweet phenomenon by which the plant creates an absorptive nutrient wonderland in close vicinity to the roots. Organic matter entering this system, according to the researchers, is more likely to become stable than that added by bulky deposition. The research shows this makes a large contribution to ‘mineral stabilised organic matter’ (their phrase) only dwarfed by that from the shear bulk of organic matter entering the system in the conventional natural or gardening way. 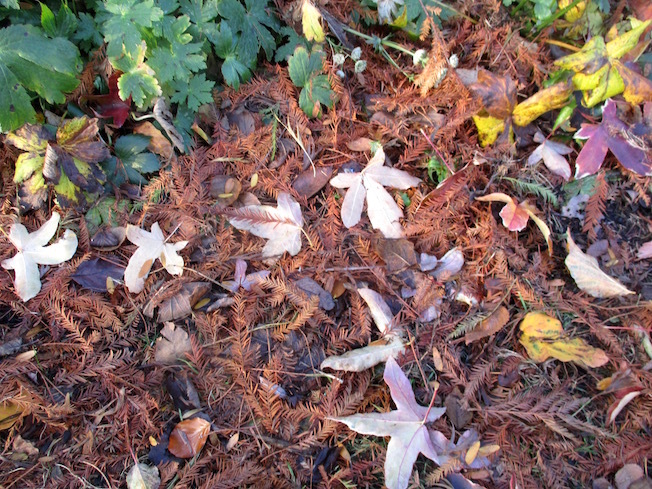 (Yes, a little of your compost heap does eventually make long term organic matter). 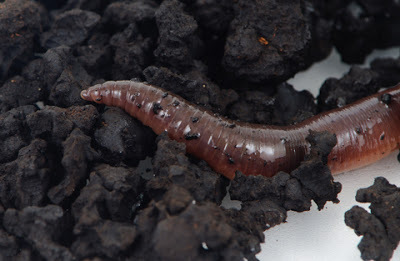 Earthworms intimately mix organic matter and soil particles in their gut and the resultant casts much improve soil fertility. I have no idea how much this mixing contributes to long term organic matter! 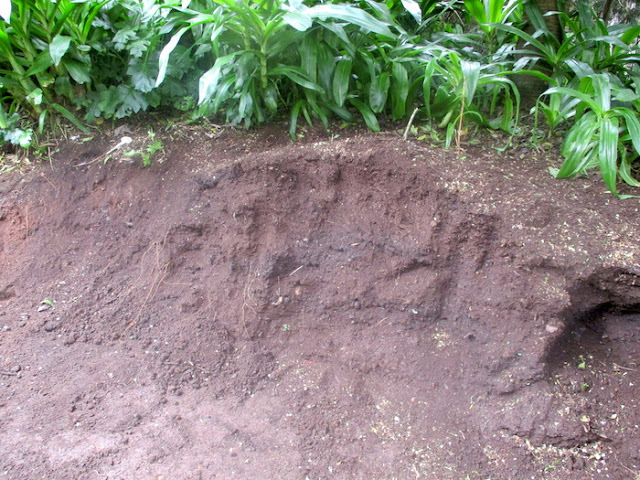 Another factor that is receiving more attention than previously is inorganic carbon in the soil. Described as recalcitrant it remains for a very long time. Through most of my life I have been unaware of this substance which is the remains of historical fires. I now wonder if my old allotment in Bolton Percy was so fertile partly because cottagers in this domesday - book village had over the centuries emptied their hearths there. Readers will know of my interest in adding my homemade biochar to the soil. Not my subject for today but will be next month. Although I could make a list of relative advantages of composting versus leaving fresh organic matter on the surface - (such as scattering lawn mowings or leaving hoed or glyphosate-sprayed weed to desiccate and die) - I have no idea which leads to the most efficient formation of long term organic matter. I suspect where soil and fresh vegetation are in intimate contact over the many and varied phases of decay this leads to more stability and intimate mixing than the crash bang wallop of a highly oxygenated pile of vegetation. Following this line of thought are their any benefits of including soil in our compost heaps - or even adding biochar? And what about the intimate mixtures of mineral particles and organic matter formed in the guts of worms? This is very interesting, I've never thought about how different kinds of organic matter would have more or less long-term impact. Hi, Roger, I've just taken out an email subscription to your blog - which my sisters and I have both enjoyed reading. We'd like to get back in touch with you. Also we'd like to consult you about something to do with my father. I'm not sure how to do this so am submitting this comment. Frances nee Willmott. Your father was a wonderful man and contributed much to my life - you might even find mentions of him on this blog via the search box!